Revolutions Plank Diamond Bay by Mannington has a 'diamond finish' that gives incredible clarity and depth of color. This finish will allow the wood look to shine through and the realistic appearance is heightened. These exotic looks vary in color and style, are easy to maintain, and have a sleek and contemporary look. As part of Mannington Laminate's 'Best' category, these laminate floors represent a quality product that will make you proud of your home. Laminate flooring is a great option if you have kids or pets in the home. Laminate holds up well under wear and tear and won't scratch as easily as a hardwood floor. Laminate is resistant to staining and the finish repels dirt and dust. Messy kids are no problem with a Mannington Laminate floor! The 25-year residential warranty gives life to your laminate flooring. 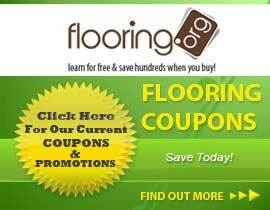 Mannington produces quality laminate flooring that is economically priced. We pass our price discounts on to our customers so you can easily find a Mannington Laminate floor that meets your budget and your style. Shop the complete selection of Mannington Laminate here in our store. With a great selection of floors, Mannington is a quality brand that offers a great investment.